What? Really... google here I come 'cos I thought it was pretty universally accepted that after midnight, before noon == am. First dictionary result: "used when referring to a time between twelve o'clock at night and twelve o'clock in the middle of the day"
Another: "The definition of am means ante meridiem in Latin, which means before 12 noon." Not going to look foever, but I didn't see any other contrary definititions. Yeah, the time between midnight and 1 is always AM. But if it's still showing AM for the hour after noon, that's incorrect. 12AM is midnight. 12PM is noon. Is there any fix for this? Please any help would be greatly appreciated! I have the same question. Is it possible to adjust the size or has the mod developer to change it / provide a compatibility option? There is, but you have to DIY it. 1. Make two files, one called COMPASS.IMG.xml, and the second called COMPBOX.IMG.xml. 3. For COMPASS, replace X with 322 and Y with 14. For COMPBOX, replace X with 69 and Y with 17. 4. Place the files into streamingassets\textures\img. When you launch the game, you should have a normal sized compass. @KingofWorms since this appears to be a very common question, maybe it would be a good idea to put these pre-made files as an optional download on DREAM's first post? 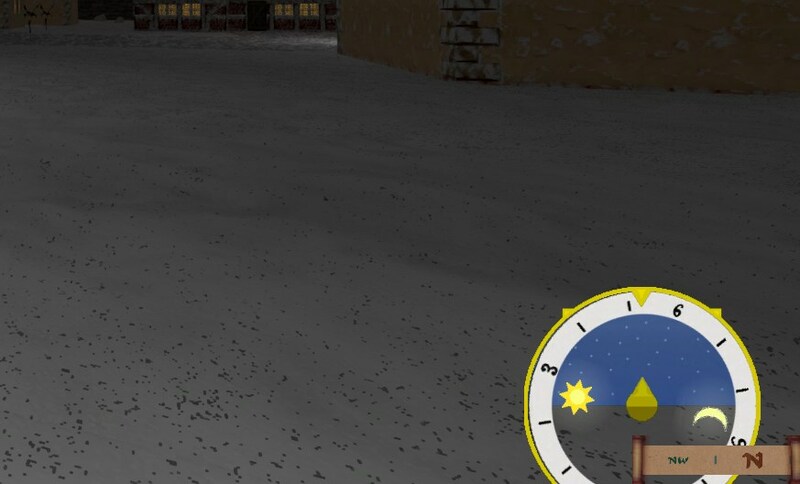 Actually, I dont think the solution is to make my compass larger, but the convenient clock smaller. and saved them to the mentioned dir, in my case "/home/mario/Downloads/Daggerfall Unity/DaggerfallUnity_Data/StreamingAssets/Textures/img"
Unfortunately, the compass size stays the same smaller size as defined by the DREAM mod. I also tried to put the files in "Textures" instead of "Textures/img", but no change. That worked for me, tested using dev build under Linux.